Alright, this baby is BEAUTIFUL! As with any product on here, the picture doesn't do it justice. This knife is EXTREMELY well balanced, making for a light, agile fighting or hunting knife. The blade is pretty thick and strong too. It looks like it's anywhere between 3/16" and 1/4" thick. The handle provides an EXCELLENT grip, especially with the sub-hilt. The blade also comes very well polished and sharpened. 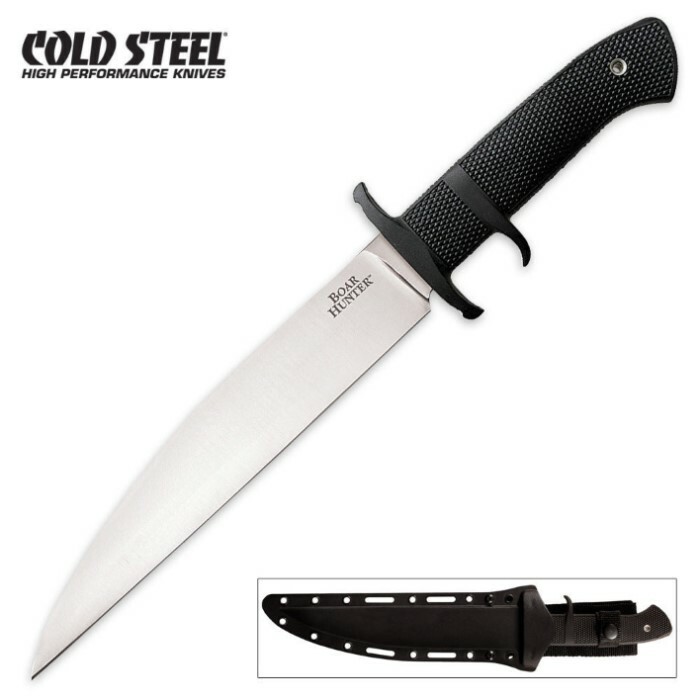 With Cold Steel's reputation, I tested the blade on my arm right away, and sure enough, it dry-shaved the hair off my arm with only slight pressure. It is really THAT sharp. The piercing power on this beauty is phenomenal too. I got to try it out earlier today, when I offered to help a friend get this envelope open that some people had completely wrapped and covered in duct tape. It was wrapped so well, and with so much, that it was practically impossible for him to open it without spending quite a bit of time on it. So I simply took my knife out, and it both pierced through it AND sliced it open like butter. As much duct tape as there was on this thing, it would make most other knives choke (figuratively, anyway). But no, it took almost no effort. I would definitely be very confident in a fight, or a hunt even, with this knife. I can only rate this a 5/5 on True Swords' scale, but I'd really rate this a 6/5.